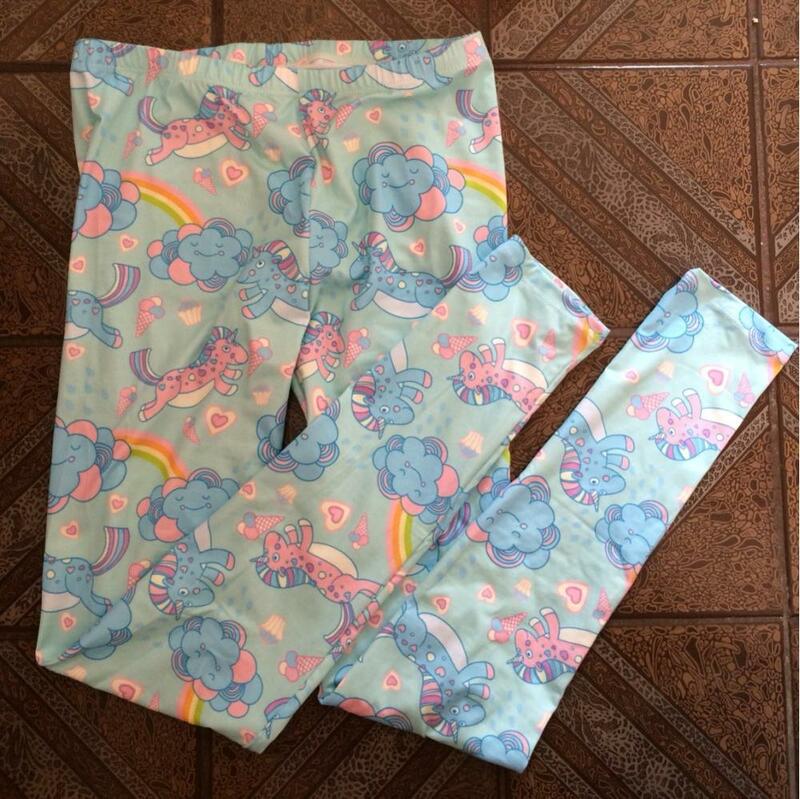 These High Waist Unicorn Clouds Print Leggings are enjoyable because the unicorn is an imaginary creature that has been described since antiquity as a monster with a single big, pointed, spiraling horn stretching from its forehead. Nowadays unicorn is known as uniqueness symbol. Be different in our Unicorn leggings in your morning running, a daily walk or at the house – they apply everywhere. Very comfortable leggings. Match with picture 100%. Very soft and pleasing to the body. Quality and material is very soft, both inside and outside. The quality is excellent, as always, I order a second time. this time more and my mother, it is also satisfied. thank you very much.